The unauthorized transportation of children out of the state by one parent is called parental kidnapping in Arizona or custodial interference. 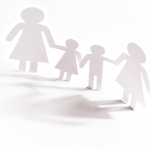 Whether or not it’s possible for a parent to travel with the children depends entirely on the custody order. In some cases, a custodial order prohibits such endeavors. In other instances, there will be no legal provisions at all. 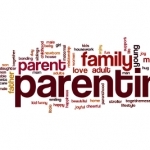 Both parents need to understand their rights in Arizona divorce or custody proceedings. When one spouse decides to engage in parental kidnapping, the other one will be entitled to certain legal protections. The Uniform Child Custody Jurisdiction and Enforcement Act (UCCJEA) applies whenever a child has lived with a parent in a certain state for at least six months. If there’s no interference in the stay, the state is considered the child’s home state. When a state is determined as a child’s home state, specific regulations will apply to the ability of parents to move to another part of the US with minors. UCCJEA is also used to determine which state has exclusive jurisdiction over custody proceedings. In addition, the Federal Parental Kidnapping Act from 1980 will apply. The act establishes jurisdiction in the case of custody proceedings among the states. This act, just like UCCJEA gives preference to the child’s home state. The aim of the act is to keep parents from taking children to another state in an attempt to get a more favorable court ruling. As far as local regulations go, Arizona Code 13-1302 has to be examined. The custodial interference regulation suggests that custodial interference is committed whenever a person who doesn’t have the right to do so takes a child and keeps them from lawful custody, withholds the child from the other parent, impedes the child from being given back to the rightful custodian or takes the child out of state. A violation of the code section is considered a Class 3, Class 4, Class 6 felony or a class 1 misdemeanor depending on the specifics. As long as a child has been living for at least six consecutive months in Arizona, this is where the custody proceedings will have to take place. Whenever one parent decides to leave the state with the children during a custody battle, they will be ordered back to Arizona. A parent who disobeys such an order gives the other spouse the grounds to file a motion for contempt. The sooner such a motion is filed, the better. 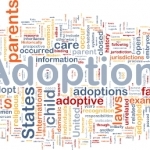 There are also protections in place for individuals who worry that parental kidnapping may occur prior to custody proceedings. If there is evidence that a spouse could potentially commit such a violation, a parent will have to address the court as soon as possible. Based on the evidence, a restraining order may be issued. A parent may also request supervised visitation rights if they are concerned about possible illegal actions on behalf of a former spouse. An important thing to keep in mind is that when one spouse files for marriage dissolution in Arizona, the court automatically put a restraining order in place to prevent either parent from moving out of state with the children. If such a violation occurs, it will be examined on a federal level. Generally, the parent who remains in the state is favored and supported legally until the child is brought back to Arizona safely. If you find out that your children are missing and you’re suspecting parental kidnapping in Arizona, you need to contact the police immediately. A consultation with an experienced family attorney could also be beneficial because you will gain some insight about the most important steps to undertake in the aftermath of such an event.